Born in Turin in 1935, he graduated in History of Art of India and Central Asia and archeaology, at the “La Sapienza” University, Rome, produced hundreds of Film, wrote 5 books, made several first high altitude climbs in Asia, participated in the creation of Mountain Wilderness…. He was an active child who discovered the mountain during his holidays in the Aosta valley where he made his first ascent with guide Laurent Grivel who taught him mountaineering as a mean to know oneself and nature. He then quietly climbed many classic routes in the Mont-Blanc, Dolomites and Gran Sasso. As a high altitude mountaineer and mountaineering instructor, he led the mountaineering school “Paolo Consiglio” of the Italian Alpine Club, Rome, for many years. He is a member of the Academic Alpine Club of Italy. From the sixties to the eighties he organized eight mountaineering and discovery expeditions in the Himalayas and in the Hindu Kush, climbing several virgin peaks, among them the Saraghrar of 7350 m and the sharp pyramid of Baba Tangi. During the summer of 1990 he led the famous ecological expedition FREE K2 freeing the second highest peak on the planet of tons of garbage and fixed ropes abandoned by previous expeditions. In 2003 he led the mountaineering and humanitarian mission “OXUS – Mountains for Peace” organized by Mountain Wilderness. This initiative re-opened the upper Afghan Hindu Kush valleys for adventure activities. Over the last few years he has organized and led six Environment-Friendly Mountaineering courses in India and Pakistan , and two similar courses in Afghanistan for young local people, both boys and girls. Carlo Alberto is one of the founders of the Mountain Wilderness International, and has been its General Coordinator for 14 years. He is currently in charge of MW activities in Asia and isthe president of Mountain Wilderness Italy. In 1986, during the bicentennial celebration of the first Mont Blanc ascent, Betto wrote in collaboration with the CAAI, the “Manifesto per il Monte Bianco”, signed by many World famous climbers, a call for the protection of the entire range and requesting the creation of an international park. In addition he was very active on various environmental National commissions and associations boards in Italy and got national recognition for his actions. 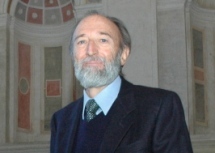 Betto’s professional and cultural life is also very full: As an historian and archeologist he participated in archaeological campaigns in Turkey, Afghanistan and Pakistan led by Prof. Giuseppe Tucci and Prof. Salvatore Puglisi , he was assistant professor at the Department for History of Art of India at the “La Sapienza” University, Rome, cooperated with Prof. Ranuccio Bianchi Bandinelli on an Encyclopaedia of Ancient Art and gives lectures on Buddhist Gandhara. 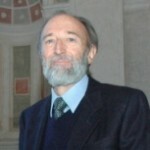 In 1978 the Salerno University, Department of Literature, granted him the academic title of Master in the subject of lecturing on Cultural Anthropology. During his life Betto produced more than one hundred of documentaries and popular science movies dealing with adventure, travel, anthropology ecology and culture filmed all over the world, many of them for Italian and international television networks. Direction of The 13 episodes of “Le Alpi di Messner” ( Reinhold Messner’s Alps). Participation in the production of a CD Rom “Le Frontiere della vita” (The Frontiers of Life), which won the prestigious international Moebius prize. For MGM he was co-director (with Folco Quilici) on the film Il Dio sotto la pelle (God Under the Skin). Currently: Pinelli teaches “Documentary Cinematography” at the Suor Orsola Benincasa University, Naples. He just finished his first fiction film for large screens ( “La Storia di Cino – il bambino che attraversò le montagne”) an Italian/French co-production.